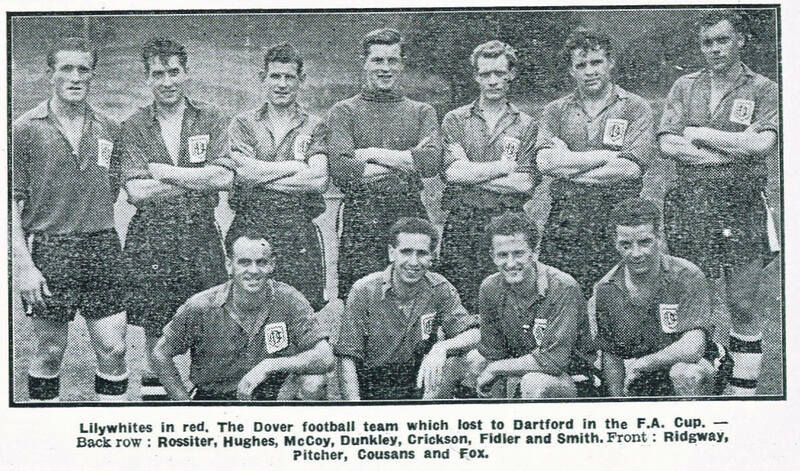 This team lost 3-1 to Dartford at Crabble in the F.A.Cup First Qualifying Round on 21st.September, 1957. Back Row(Left to right): Don Rossiter, Arthur Hughes, Tim McCoy, George Dunkley, Tommy Crickson, Tom Fidler, Peter Smith. Front Row(Left to right): Fred Ridgway, Gordon Pitcher, Eric Cousans, Des Fox.